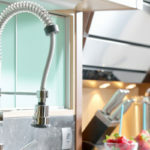 As is true from most remodeling projects, kitchen remodeling comes with its own share of myths. 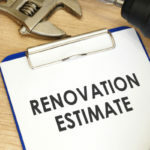 Debunking these kitchen remodeling myths offers you the promise of time saved, effort properly utilized, and most importantly money well spent. 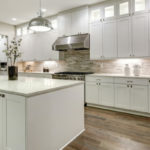 You’ve seen the advertisements proclaiming that cabinet refacing can save you up to 75 percent over the purchase and replacement of your old cabinets. The truth is, that while refacing can be a good option provided your like your cabinets and kitchen layout is functional, it simply won’t save you that much money compared to new cabinetry. The actual savings is nearer to 25 percent. Since refacing your cabinets means new doors and drawers will be installed, you will actually be purchasing the costliest part of the cabinetry. The cabinet box remains the same, though it may be painted, stained, or veneered to match the new drawer and door fronts. The savings you glean from refacing comes in the actual installation which will save you around 25 percent. The downside of refacing – you forgo the state of the art features of newer cabinets like organizers and hardware. The second cabinet myth you’ve heard is that custom cabinets shop cabinets are considerably more expensive than factory cabinets from your local big box home improvement store. This myth is based in fact, for it used to be true. Today, local cabinet shops offer virtually the same pricing as equivalent factory cabinets. When you are making your selection, keep in mind that factory cabinets are shipped from the factory adding to the costs, plus your cabinets have to be installed, which is a separate fee at the big box stores, but not at the local cabinet maker’s shop. Whichever you choose, cabinet shop or big box, your cabinetry still must be designed to fit your kitchen precisely. Who would you rather have performing that task – the salesman at the big box store or an expert cabinet maker? 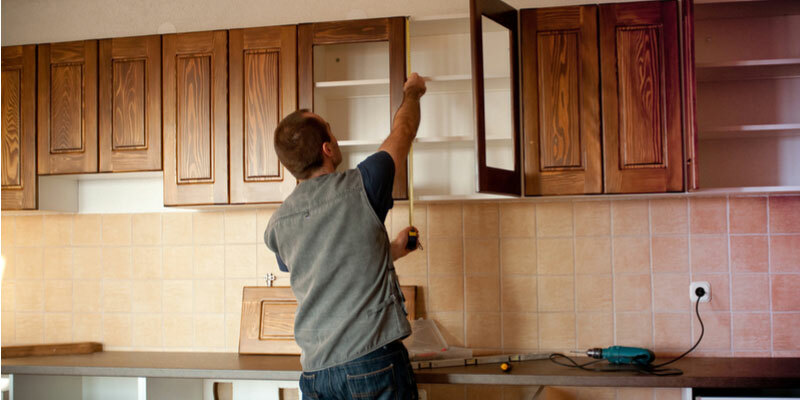 Once your cabinets arrive, should one be missing, damaged, or incorrectly sized, your local cabinet make can deliver a replacement in a few days, while the big box store will need to reorder, the factory will need to refabricate, and you will be left waiting for weeks. Of course, there are exceptions, should you choose standard finishes, and stock cabinets, without molding, expensive trims, and accessories, you can get really great deals during sales at the big box store. Another area in kitchen remodeling where myths abound is in relation to tile. The most widely heard tale is that porcelain tile is higher quality than ceramic tile. Well, the truth is porcelain is a type of ceramic tile, thus debunking this myth. Porcelain tiles are traditionally made from lighter clay, while ‘ceramic’ tile is typically made of darker clays. Tile quality is actually determined by the time fired and the temperature at the time of firing. Your best bet is to find the tile graded for your use, and choose the size, color, luster you love. In relation to tile selection, the myth still persists that grout stains and once stained it simply cannot be cleaned. Once again, this myth was once based in truth. 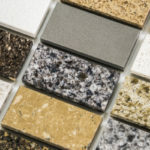 Back in the day, tile grout was cement based because it was inexpensive and could be delivered in a variety of colors. The problem, cement grout was porous, and so it stained. Sealing could keep stains away for a time, but eventually even the silicon sealant became grimy. This is not the case today, as new grouts are epoxy or urethane. They are self-sealing wonders which deliver a flexible, yet hard finish that last for many years without staining. You can even get specialized anti-microbial urethanes to prevent mold and mildew in the bathroom.